Perhaps the largest source of public information on the internet, Wikipedia is still a mystery to many. What is it? Who are the editors? Can it be trusted? Read on as we answer all these questions and more about one of our favorite sites online. Wikipedia is probably one of the most famous sites on the Internet. It’s informative, as well as controversial, and having a page there is highly sought after. It’s quite simply the online Encyclopaedia Britannica on steroids, covering every conceivable subject. But don’t take my word for it, more than not, if you perform a Google search on a subject which is covered by Wikipedia, more than likely, it will result in a top ranking page on Google Search. But as with everything else in life, Wikipedia isn’t perfect. It has its pros and its fans. But it also has its cons and its detractors. If you are thinking of getting started with Wikipedia for the first time, this is the page to bookmark. Wikipedia is an online encyclopedia where anybody can start a page, or edit an existing page, on almost any subject. The page is then examined by an editor who decides whether or not the page stays. 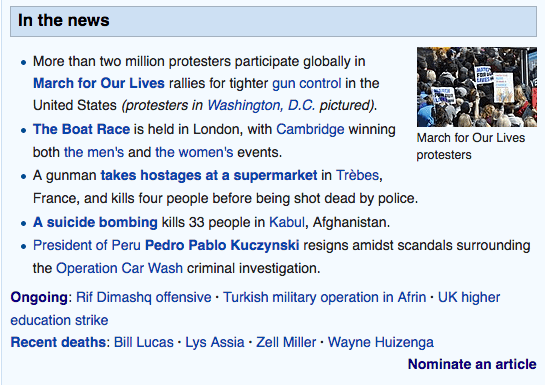 For a page to be created, a Wikipedia editor has to determine whether or not the subject is “newsworthy” and “notable“. So pages about your wonderful mother will be deleted. But if you want to write about a celebrity or a historical event (for example), then it may be eligible for its own Wikipedia page (if it is not already there). But to prove “newsworthiness”, you have to collect credible online sources for that subject, showing that it/they are widely and consistently reported upon. The more sources the better. The site is currently in many languages, so you don’t have to speak English to use the site. But English is the default Wikipedia site. Just go to https://www.wikipedia.org and choose your language. Or go to https://en.wikipedia.org to be taken directly to the English site. Wikipedia operates on a “crowd-sourced” model. This means that the site is written by anyone who registers for an account. All of the articles are written according to the wisdom of the crowds. But by the same token, anyone can change, edit, and delete something that someone publishes on the site. A recipe for complete anarchy? Maybe. What holds the entire project together is the volunteer Wikipedia editors, who monitor every change. They delete anything inaccurate or inappropriate. In the early days of Wikipedia, the site suffered from a reputation of a high degree of inaccuracy. Students copied that inaccurate information for school assignments and teachers flipped out. But these days, the accuracy levels have dramatically improved. So what are the advantages of using crowd-sourced content for a site? A lot of information gets added in a short space of time. You get a wide variety of subjects on the site, some of which are eclectic. You get a lot of different angles and viewpoints on a subject. If someone spots an error, they can quickly change it. But there are also disadvantages of using the crowd-sourced content. If a lot of information gets added in a short space of time, it becomes easy to slip in misinformation and slander. This is especially true during political campaigns when politicians’ profiles get vandalized by the opposition. It becomes extremely easy to start fights over new articles. Especially if a Wikipedia editor decides it has to go, and the contributor feels slighted. This happens very often. A person who has a page – a politician, a celebrity, etc – quite often makes an anonymous account to remove anything unfavorable, rewrite parts to make them look good, make their qualifications look better, and so forth. Quite a few politicians have been caught doing this. @CongressEdits is a Twitter bot for example which tweets anonymous edits made to Wikipedia from IP addresses in the US Congress — and yes, it’s caught some high-profile people throughout its existence. If a person spots an error, it’s usually fixed immediately. But, what if someone (or many people) dispute the change and begin arguing about it? Some peoples pages have been vandalized. Some sites consider this amusing, but Wikipedia has a page on the most vandalized pages. They also have some really great installable tools to try and preempt it from happening in the first place. So you may be wondering what fearsome monster can handle such a site as Wikipedia? The answer is MediaWiki, which is free open-source software. This means that you can download the web software and build your own Wikipedia if you want. Just don’t call it ‘Wikipedia’! The “download” button is on the page. A lot of web hosts also have one-click automated installers for MediaWiki. Honestly, however, most people and companies use the MediaWiki software to build personal information sites or internet knowledge bases being that.. well, who wants to try and compete with Wikipedia on the internet? 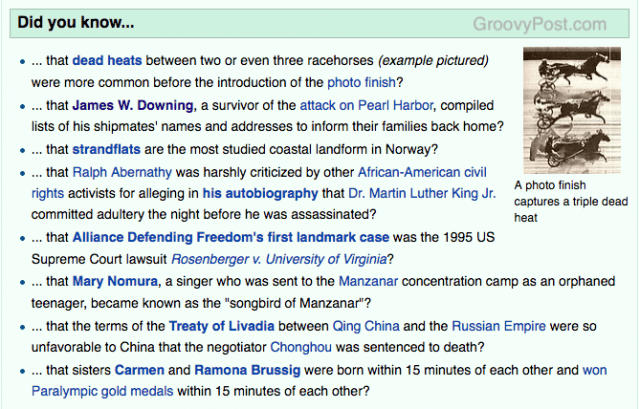 Upon first glance, Wikipedia can look a bit overwhelming. The front page has a lot to look at and if it’s your first time on the site, you may be wondering where to go, and how to maximize the features they offer. The site doesn’t vary in its design. It’s the same as it’s always been. It always has a featured article, which highlights a particular page. It could concern something well-known, or it could be something obscure that nobody had any idea about. That’s the beauty of the site. You could fall down a rabbit hole of articles and keep reading for hours. The “Did You Know” section will appeal to trivia lovers. Now you can look at the section every day and next time you’re at a party, you can enthrall them with the fact that lettuce soup is usually served poured atop thin slices of lightly toasted French bread. The “In The News” section tells you what’s been happening in the world, and at the same time, setting up pages for notable people and events, connected with the news reporting. It has been suggested that this is probably the best news source to refer to on a daily basis. Most news websites have their own agenda and bias, whether it’s liberal or conservative, therefore most people live in a “goldfish bowl” when it comes to news. On the other hand, Wikipedia is meant to be neutral, therefore you are more likely to get an unbiased view of news events. What’s even better about Wikipedia as your daily news source is that breaking news is constantly updated by contributors and checked by editors. Unlike Twitter which is full of unverified “facts”, anything clearly false on Wikipedia is quickly removed. If you move further down the page, you will find older news, which is good if a news event is stretching over several days. 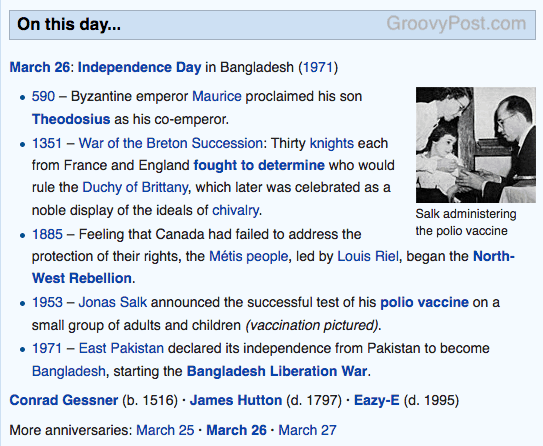 The “On This Day” is fairly self-explanatory. It tells you what happened today in the past. This is good if it’s your birthday and you want to know if something notable happened on the day you were born (apart from you being born of course). As previously stated, the Wikipedia design has barely changed in the 17 years it’s been operational. But this doesn’t mean that there aren’t any other possible views available. Wikipedia has a list of designs, the best of which is a browser plugin called WikiWand. The main page doesn’t change, but individual pages do. There is also a mobile version of the site, which renders the page beautifully for phone and tablet screens. If you want to get really minimalist, you can have pages without links, or links only. It seems that Wikipedia has thought of every conceivable possibility. Due to the portable nature of smartphones and tablets, having optimized versions of Wikipedia on those devices is extremely useful. The iOS app is quite fast, you can read pages offline, it has a dark theme, and the entire app is 100% open-source. The app is also available for Android phones, which is completely the same as its iOS counterpart. 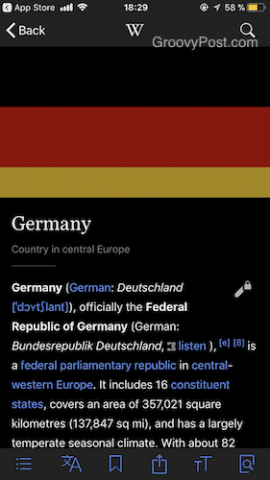 If you want to view Wikipedia in another format – and you are an iPad owner – one very good free app is Das Referenz. Despite the German name, it is entirely in English. In a nod to those who are hard of hearing, or who just like to listen to material in an audio format, we have Spoken Wikipedia. This is an ongoing project where anyone can speak an article, and have it uploaded to the site. The problem though is that Wikipedia, by its very nature, is constantly changing. Edits here, huge deletions there, new information added everywhere. Therefore, if you are going to dictate a big article, it’s best to do it in one sitting. And keep hitting the refresh key to see if the article has been changed during your stirring oratory. Plus, it goes without saying that you can’t follow links in an audio version. So you lose out on part of the “Wikipedia experience”. But there are many advantages to using Spoken Wikipedia. Here is a nice list. All text on Wikipedia is licensed under the Creative Commons Attribution/Share-Alike License (CC-BY-SA), and in most cases, also the GNU Free Documentation License (GFDL). “giving readers the rights to copy, redistribute, and modify a work and requires all copies and derivatives to be available under the same license. Copies may also be sold commercially, but, if produced in larger quantities (greater than 100), the original document or source code must be made available to the work’s recipient”. A good page explaining what you can and cannot do with the content can be found here. Another regular occurrence on Wikipedia are hoaxes, where something false is deliberately inserted on the page, which is not considered libelous, vandalism or a factual error. Some of these hoaxes become high profile and make it into the media. Wikipedia has compiled and is continuing to compile, a list of hoaxes which have been discovered on Wikipedia. The page, however, points out that there could be other hoaxes on the site which have not been discovered yet. Some of the hoaxes include non-existent murders, murdered Soviet defectors, the supposed assassin of Julius Caesar, fictitious machine guns, and a fictitious organization of Nazi trombonists. 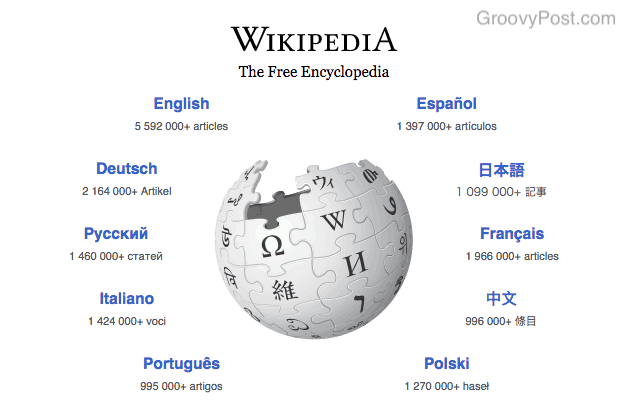 Contributing To Wikipedia – To Register Or Not? There are two types of Wikipedia users – the lurkers (the readers who don’t contribute), and the people who do contribute. If you do not plan to contribute and just lurk, then registering an account is probably not worth it. But if you plan to be a contributor, then an account is necessary. It is the way in which your changes are tracked and how the editors communicate with you if necessary. One very big advantage of registering and using your own account is that you can make a considerable number of customizations to how you see and use Wikipedia. You can also participate in any beta trials for the experimental features currently being tried out. Registering is a straight-forward affair. Go to the top of the Wikipedia page and you will see a link for registering and logging in. Fill out the form and when Wikipedia is satisfied with your responses, and your email has been confirmed, then you’re in. Before you begin to consider editing or starting a page, you need to bear in mind Wikipedia’s “Five Pillars”. These are five objectives that “defines Wikipedia’s character”. Here is the first one which I think sums up Wikipedia perfectly. “Wikipedia is an encyclopedia: It combines many features of general and specialized encyclopedias, almanacs, and gazetteers. Wikipedia is not a soapbox, an advertising platform, a vanity press, an experiment in anarchy or democracy, an indiscriminate collection of information, or a web directory. It is not a dictionary, a newspaper, or a collection of source documents”. If you use Wikipedia on a regular basis, you will notice small things that bug you or things you wish the site had. If so, there are options you can consider. For a start, Wikipedia has a substantial list of options to change and/or to improve the site. You need to be logged into your Wikipedia user account to access this link. Once you are there in the “Gadgets” section, you will see options for changing the look and functions of Wikipedia. Another option (if you use Firefox or Chrome) is to use their userscripts. The Mozilla Firefox scripts and extensions can be found here and here. The official Mozilla Firefox extension site is obviously safe, however, if you go outside the official site, use those userscripts at your own risk. For Google Chrome, the extensions are here. 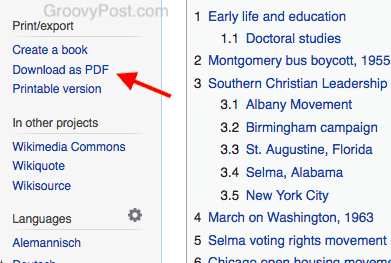 One of Wikipedia’s most useful features is the ability to turn Wikipedia pages into a PDF, ODF or ePUB file. You can also order a print book. Various Wikipedia pages can be bundled together into one file, instead of various scattered files, making it easy to keep track of all of the information you need. Need a study guide? Doing research for a project? Want to read some pages on your tablet? Then the bookmaking facility will prove invaluable to you. Making these books is very easy. If it is only one page, go to that page, and then go to the “Print / Export” section in the left-hand toolbar. Click on “Download as PDF“, and immediately the page will be converted into a PDF and downloaded to your computer. At the time of writing this, PDF was temporarily disabled, leaving ODF and ePUB as your formatting options. Now go to each page you want to be included, and click “Add This Page To Your Book”. If you hover over a link, you can add a page to your book without visiting the page. Every Wikipedia article has footnotes which are links to references in the text. Whenever a claim is made in an article, it has to be backed up by a credible source online, which can be linked to. If you click on these linked numbers, you will see the source material link at the bottom of the page. Recently, Wikipedia has been experimenting with celebrity voice recordings, so people can hear what the person sounds like. 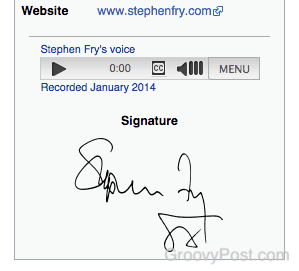 One celebrity who has a voice recording on their Wikipedia page is the UK actor, comedian, writer, and activist Stephen Fry. In the recording, Fry merely states his name, where he was born, and how many years he has been in the entertainment business. A simple straight-forward short recording in very high quality. You can enter a URL which will take you to a random Wikipedia page. It’s quite fun, not knowing where you will end up, and what interesting fact you will learn that day. It’s based on the StumbleUpon concept and it is a nice way to kill a few minutes. The URL is http://en.wikipedia.org/wiki/Special:Random . However, to avoid having to type that URL out countless times, you can create a button. Just right-click on your browser’s bookmarks bar and select “Create a new folder”. Enter the URL above with the title, maybe “Wikipedia Random”? Then save. You now have your own Wikipedia random button. 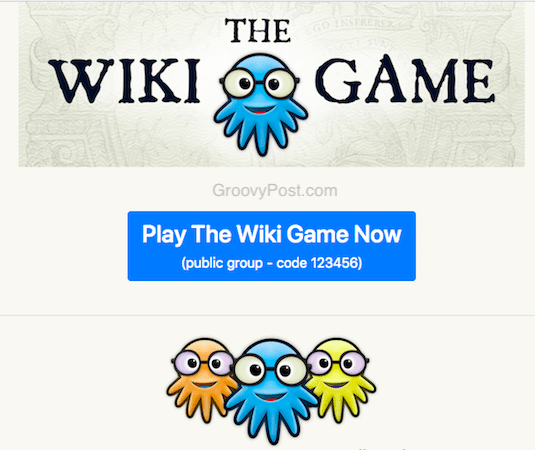 If you get bored reading Wikipedia, and you’ve edited enough articles for the day, then maybe you want to play some Wikipedia games? How about The Wiki Game? The concept behind the game is simple. You are given a beginner Wikipedia article and an end Wikipedia article, and you have to get from one to the other in as few clicks as possible. Or in the fastest time possible. It is actually quite difficult but if you like a challenge, this will keep you occupied for quite some time. Are you out on a nice day trip but you have no idea what is in the area to visit? Or maybe you are planning a holiday and would like to know what is in the local vicinity? If so, then a Wikipedia feature called “Nearby” could help. 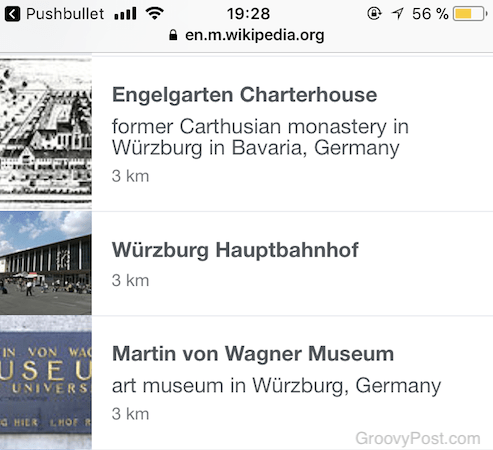 This feature only works on a laptop or mobile phone, and you need to enable the location settings on your browser, so Wikipedia knows where you are (you can always reverse this later if you are nervous about the privacy implications). Wikipedia brings up all of the local features which have their own Wikipedia pages. You can then view whatever page you want to get more information. Every popular web service has third-party tools, invented by talented programmers, which are designed to make that particular service even more useful. 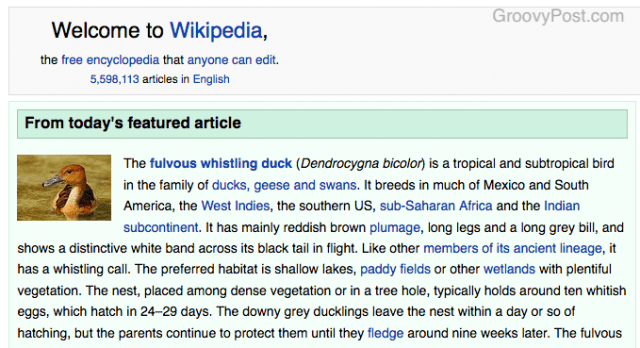 Wikipedia is no exception who maintain a big list of tools you should try. Some require expert knowledge in things like Python, but there are other things such as user scripts, and an HTML to Wiki Converter. Each Wikipedia article has an RSS feed, although it is not immediately obvious. To find the Atom feed for an article, go to the “Interaction” section in the left-hand sidebar. There, choose “Recent Changes”. You will then see all of the changes which have been made to that article. For those of you who fancy having Wikipedia offline and stored locally in either your computer, a removable hard drive, or other such devices, then it is possible to download versions of Wikimedia wikis, as they are updated (usually monthly). Your downloads are limited to 2 IP addresses. This is so everyone gets an equal chance of getting a reasonable download speed. Downloading wikis is going to take a while!! To speed things up, you can volunteer to operate a mirror for Wikimedia. This is where you host everything on your computer and people can get the wikis from you. This obviously requires a lot of computer space (the page says 34TB), and a lot of bandwidth. But if you feel you can help, get in touch with the Wikimedia Foundation and make their day. There are another couple of options for reading Wikipedia offline. The first one is Kiwix which is a reader for reading Wikipedia offline. You can search through the Wikipedia download, and PDF/HTML export. What’s even better, you can use it on “lower powered or old computers”. It’s cross-platform, as well as on Android. The second option is Wikipedia for Schools, which is an adapted version of Wikipedia for pupils studying the UK National Curriculum. According to its webpage, it consists of “6,000 articles, 26 million words, and 50,000 images”. Here’s some more cool stuff for Wikipedia users. Wikipedia can be a tough site to understand and navigate if you are a new user. That is why the site has set up “Tip of The Day”. In a nutshell, each day in the year has a new “tip” on how to use Wikipedia, whether it is setting up a new article, editing an existing one, outlines of features, or more, then Tip of The Day will have you covered. You can contribute to Tip of the Day if any of the information on the tips is inaccurate or obsolete. 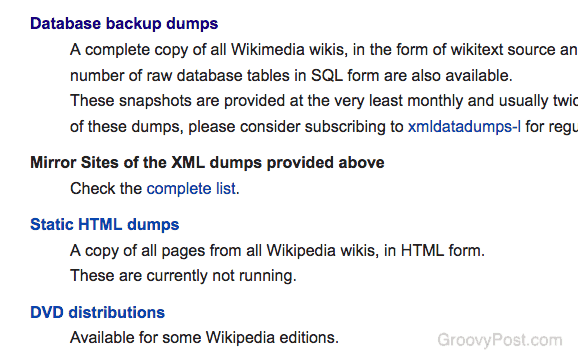 A lot of good and bad articles get deleted from Wikipedia all the time, for a variety of different reasons. Deletionpedia is a project which keeps track of these deleted pages so you can read them, and some record can be kept of them. A lot of edits on Wikipedia are anonymous and WikipediaVision is a site (a bit of a useless site actually), which shows which anonymous edits are going on in the world right now in real time. Are you interested in seeing who is in the top 10,000 Wikipedia contributors list (by number of edits)? Maybe you want to be in it yourself? Or maybe you are already in it and you want to check your rankings? This page will show you the information. “The Signpost” is an online Wikipedia community newsletter, which according to Wikipedia, started in January 2005. It is community-written and edited, just like Wikipedia itself. It claims to be an independent publication, and not connected to the Wikimedia Foundation, who are responsible for the various Wikimedia projects. 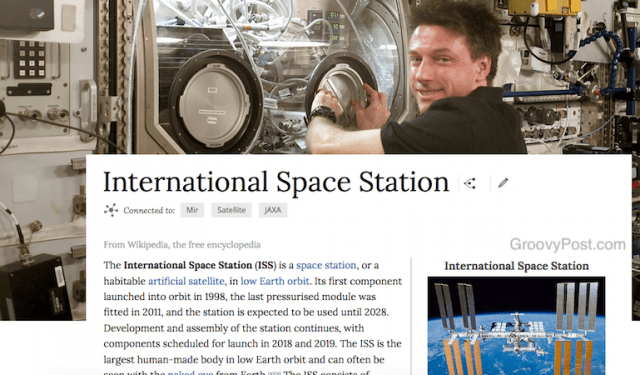 “The Signpost” covers Wikipedia-related issues, such as which articles are currently popular, issues affecting the Wikipedia user community, and much more. You can subscribe via RSS, as well as their Facebook and Twitter pages. This is a Tumblr blog which gives you the really weird and unverified trivia (and probably fake facts) on Wikipedia, in between all of the serious articles. For example, “Stephen Hawking traveled extensively to promote his work, and enjoyed partying and dancing into the small hours”. This site is a good example of why you should never totally trust everything you read on Wikipedia. Anyone can write anything until it is discovered and taken down. Wikipedia is one of, if not the, best websites on the Internet. But it also has its flaws. In the end, the whole concept of crowd-sourcing will ensure that the site is kept as accurate as possible and the trolls blocked.